Halloween Can Be a Scary Time for Your Pets - Petpav - Your Online Magazine for All Things Pet! While Halloween is a fun time for kids and adults, it can be a very scary night for your pets. While we are all dressed up and having a fun time (and some of our pets dress up too), it is important to keep your eyes on your pets so they don’t get too scared or sick. Below are some tips and/or reminders of what to look out for to keep your pets safe on Halloween. 1. Watch out for the trick or treats. That bowl of candy is for trick-or-treaters, not for your dog or cat. Chocolate in all forms, especially dark or baking chocolate, can be very dangerous for dogs and cats. Candies containing the artificial sweetener xylitol can also cause problems. 2. Popular Halloween plants such as pumpkins and decorative corn are considered to be relatively nontoxic, but they can produce stomach aches in pets who nibble on them. 3. Wires and cords from electric lights and other decorations should be kept out of reach of your pets. If chewed, your dog or cat could suffer cuts or burns, or receive a possibly life-threatening electrical shock. 4. A carved pumpkin certainly is festive and part of the ritual, but please be careful if you decide to add a candle. Pets can easily knock a lit pumpkin over and cause a fire. Curious kittens especially run the risk of getting burned or singed by candle flames. 5. Dress-up can be a big mess-up for some pets. Please don’t put your dog or cat in a costume if your pet resists it (some pets don’t mind it, while other hate it). For pets who prefer their native fur, wearing a costume may cause undue stress. 6. If you do dress up your dog or cat, make sure the costume isn’t annoying or unsafe. 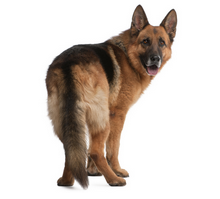 It should not constrict your dog or cat’s movement, or impede his ability to breathe, bark or meow. Also, be sure to try on costumes before the big night. If your dog or cat seems distressed, allergic or shows abnormal behavior, put a fun bandana or something festive that doesn’t bother him or her. 8. Keep your dogs and cats confined and away from the door. Not only will your door be constantly opening and closing on Halloween, but strangers will be dressed in unusual costumes and yelling loudly for their candy. This, of course, is scary for our furry friends. Dogs are especially territorial and may become anxious and growl at innocent trick-or-treaters. Putting your dog or cat in a secure room away from the front door will also prevent them from darting outside into the night … a night when no one wants to be searching for a lost loved one. 9. Keep your outdoor cats inside several days before and several days after Halloween. Outdoor cats’ are known to get lost on Halloween. Black cats are especially threatened as well. 10. Make sure that your dog or cats have their proper identification. If for any reason your pet escapes and becomes lost, a collar and tags and/or a microchip can be a lifesaver, increasing the chances that he or she will be returned to you. If you follow the necessary precautions, it can make Halloween a much less scary time for your pets.